Dexterity questions all day, today! Is this even possible? The reason we're using collections is because we want to show a subsection of these files within different areas of the website. 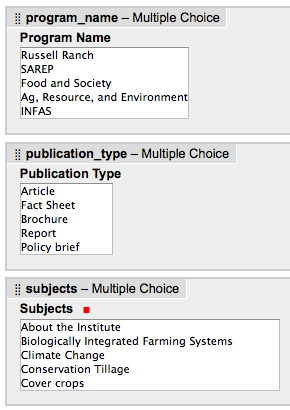 Possibly also, we want to use collection portlets to display like, the three most recent files, on other pages. Would we be better off using multiple instances of eea.facetednav everywhere? Take a look at the code of collective.nitf as we do what @keul is recommending at package installation. Not the answer you're looking for? Browse other questions tagged plone dexterity plone-4.x or ask your own question. Dexterity content type unavailable for editing with activated diazo theme?